Bulldog Film Distribution have announced that Irish-American romantic comedy ‘The Yank’, will be released on DVD on March 6th 2015 in Ireland. The film is the directorial debut of Irish-American helmer Sean Lackey and stars Colm Meaney, Fred Willard, Kevin P Farley and Martin Maloney. ‘The Yank’, a co-production between Dublin’s Zanzibar Films and US-based Wet Ears Productions and Rampage Entertainment, is a comedy which sees an Irish-American travel to Ireland to find love. 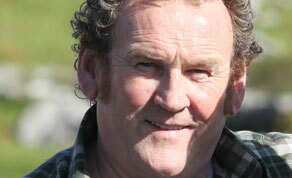 The tale was inspired by a real life visit to Ireland by writer/director Sean Lackey. Filming initially began in Cleveland, Ohio before moving to towns such as Milltown, Doolin and Quilty in County Clare with some filming taking place in County Dublin also. ‘The Yank’ will be released on DVD on March 6th and will be available for purchase at all good retailers nationwide.